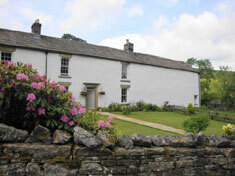 Summer Lodge Farm B&B is set in the heart of James Herriot country in the picturesque Yorkshire Dales National Park. This working hill farm consists of pedigree Swaledale sheep and beef cattle and is pleasantly situated in its own little Swaledale valley. The area is renowned for its dry stone walls, glorious hay meadows and wildlife. It offers a peaceful base for walking, cycling, bird watching, or touring the local dales countryside and villages. Find local Dales attractions around Summer Lodge with the historic market towns of Richmond, Leyburn, Hawes and Middleham within easy reach. Hire bikes at Reeth to explore the countryside that Le Tour Yorkshire Dales rode through in 2014. Visit Bolton, Middleham and Richmond Castles, Brymor Ice Cream Centre and Brewery visitor centres at Masham, Wensleydale Creamery, Hawes Ropemakers and Gayle Mill at Hawes, the Georgian Theatre and Station Cinema in Richmond, Thorp Perrow Arboretum and Muker's Swaledale Woollens centre. Summer Lodge B&B Accommodation offers one en-suite room which is let as either family/double or twin and one double room with private bathroom. The rooms are centrally heated and include colour TV, hairdryer, tea & coffee making facilities, fridge and free WiFi. The dining room can also be used as a lounge with a comfortable seating area. The farmhouse has a large garden with a garden picnic area. Breakfast consists of local produce, homemade preserves and our own free range eggs. Great prices, with reduced rates for children. There is plenty of of parking.